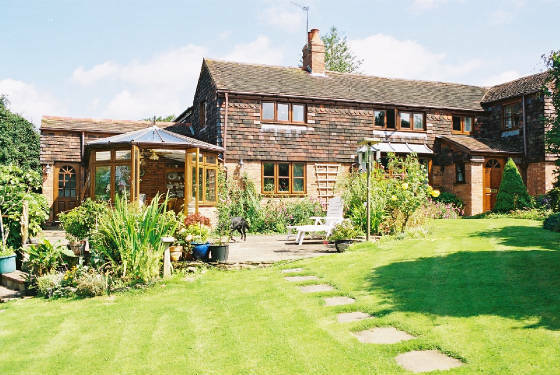 The Sally Beds is a lovely old cottage set in an acre of gardens surrounded by fields, and set on the slopes of the Malvern Hills in Worcestershire. 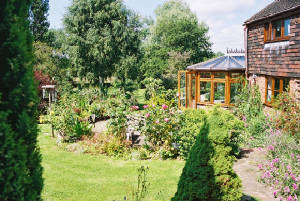 The cottage is named after the willow trees (salix) that grow by the stream which flows across the fields. There are footpaths from the house directly up to the Malvern Hills from which, there are spectacular views through 360 degrees! The Sally Beds is also convenient for those interested in walking the Worcestershire Way. The gardens are a haven for bird life, from woodpeckers to nuthatches, buzzards to little owls. The bird table outside the conservatory is always teeming with birds to entertain visitors. The local village of Colwall, within reasonable walking distance, provides a choice of places to eat. The towns of Ledbury and Malvern are about 10 minutes drive. Both towns are of historical interest and provide for entertainment, sport and shopping. There are tourist information offices in both towns to advise on local attractions and current events. There is a station in Colwall with direct access from London and Birmingham, pick-up from the station can be arranged for a nominal charge. The Sally beds is also very convenient for the Three Counties Showground which hosts many interesting events throughout the year, and the Malvern Theaters which are less than 10 minutes drive. 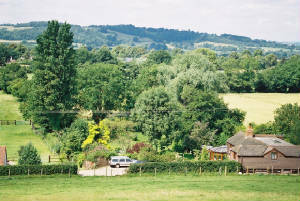 We are also close to Upton on Severn which hosts many and varied events throught the year. Don't hesitate to let me know if you need further information or want to make a reservation. 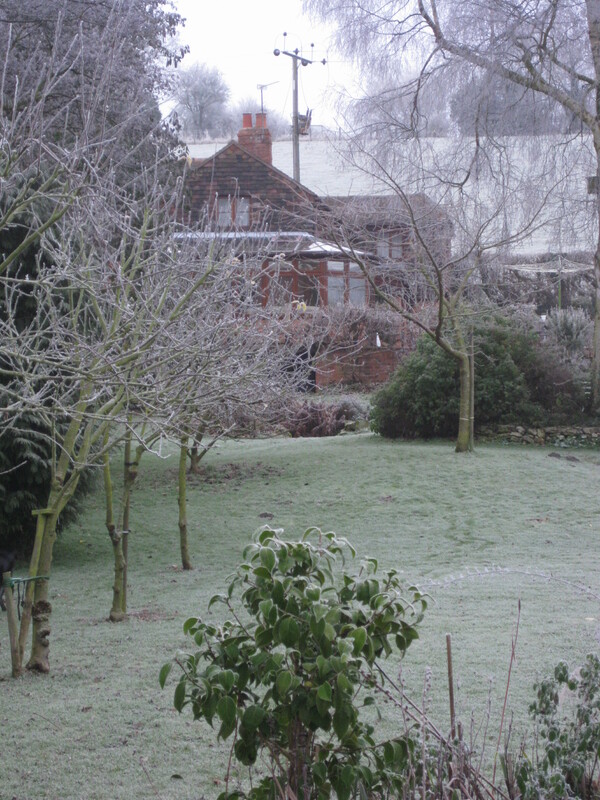 The Sally Beds, Evendine Lane, Colwall Green, Malvern,Worcestershire.